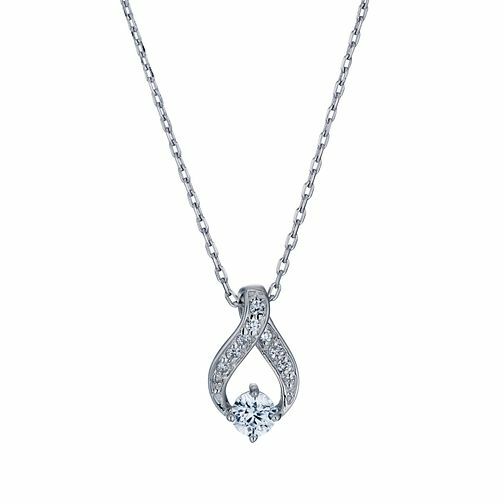 Set on a fine chain, this chic ribbon pendant is adorned with glittering cubic zirconia stones for a look that sparkles. Crafted in shining sterling silver for a contemporary feel. Sterling silver cubic zirconia ribbon pendant is rated 4.0 out of 5 by 1. Rated 4 out of 5 by Anonymous from Really elegant The necklace is quite small and very elegant, just what I wanted. I've been getting a lot of compliments when wearing it too.